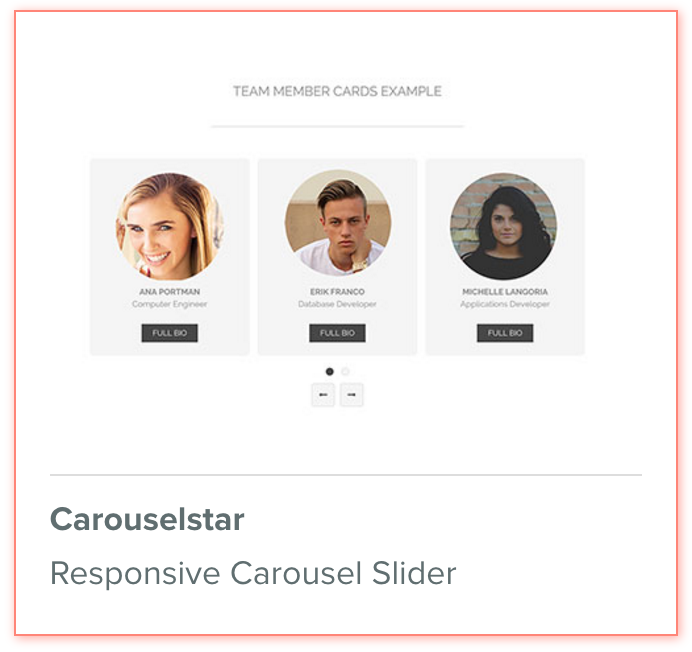 Responsive drag and drop carousel. Great to display all kinds of content, like your latest blog post links, team member cards, products and much more. Lots of options have been added which are offering tons of styling possibilities.